BIRMINGHAM, Ala. (AP) — It feels like Birmingham finally is emerging from the shadows cast by the ugly racial violence of 1963. Long haunted by black-and-white newsreel footage of the fire hoses and police dogs city leaders turned on blacks demonstrating for civil rights, the city has a new vibe that's generating buzz all its own 50 years later. Birmingham's culinary scene is a jewel, with nationally known chefs and restaurants, and decades of white flight are giving way to people moving into flats and condominiums with bare brick walls in once-vacant downtown buildings. The tables are full at trendy bars and bistros nestled in old brick mercantile buildings. 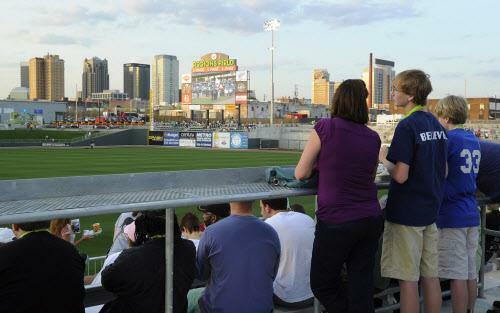 The city's minor league baseball team relocated this season from the suburbs and is drawing big crowds to a new downtown stadium that opens to Birmingham's skyline. It's across the street from an urban park built on what was an unsightly lot strewn with weeds and gravel along railroad lines. Combine all that with a thriving nightclub scene, new craft breweries and an entertainment district that has started opening, and suddenly Birmingham is becoming a hot spot for residents and visitors alike. "If Birmingham is trying to come back they've succeeded," said visitor Ron Lee, loading his car after staying at the city's new Westin hotel during a vacation trip with his wife. Lee, who lives in Washington, D.C., was impressed by the city's parks and trees. The welcoming attitude from residents and slower pace are what really stood out, though. "It's very Southern. Everyone is very friendly," he said. "It's more progressive than I expected." 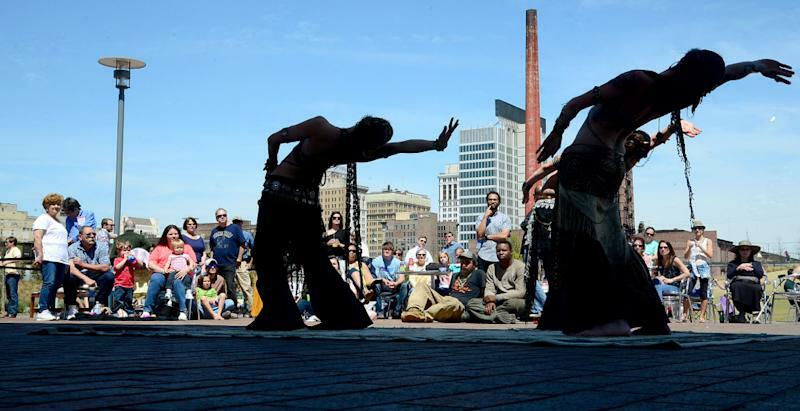 Birmingham wasn't very attractive for visitors — or many residents, for that matter — for decades. Once tagged with the ugly nickname "Bombingham" for the racist bombings of the 1950s and '60s, when racial segregation was the law, Birmingham was a city on the edge for years. The city put its ugliest face forward that spring of 1963, when young marchers advocating for civil rights were met with dogs, fire hoses and jail. A Ku Klux Klan bombing that September killed four black girls at church. The city's skies were stained a hazy red by the smoke from steel mills, and thousands of white residents fled for the suburbs out of fear of the same things that plague other urban areas: crime, declining industry, crumbling schools and dwindling opportunities. Birmingham seemed like it was on a long march toward death. After peaking at 340,887 in the 1960 Census, the city's population has fallen steadily to the current level, 212,237. Vacant homes are scattered throughout most every neighborhood. While people didn't stop leaving, the city began changing in the 1970 and '80s as medicine and finance replaced steel as Birmingham's primary industries. The skies brightened — literally — as the mills closed, but few outside of civic boosters seemed to care. That has changed in recent months as the city's revival began to gain steam and people began noticing. National Geographic Traveler recently mentioned the city's renaissance, and Forbes cited it as an up-and-coming city for young professionals. NBC's Today Show featured Birmingham as an attractive travel destination because of its history and affordability, and Zagat has highlighted a restaurant scene that includes chef Frank Stitt's flagship Highlands Bar and Grill. USA Today tapped Birmingham's Sidewalk Film Festival as one of the nation's top movie events, and the cultural website Flavorwire listed the majestic Alabama Theatre, built in 1927, as one of the 10 most beautiful theaters in America. Much of the recent attention was linked to commemorations of the 50th anniversary of the '63 civil rights demonstrations, but other things are happening to create buzz. People like Ron Lee have come to town and enjoyed what they found, including the revamped Vulcan Park that overlooks downtown from atop Red Mountain. Even the city's minor-league baseball team — which dates back to 1885 — has returned to town after making nothing more than occasional visits since the late 1980s. 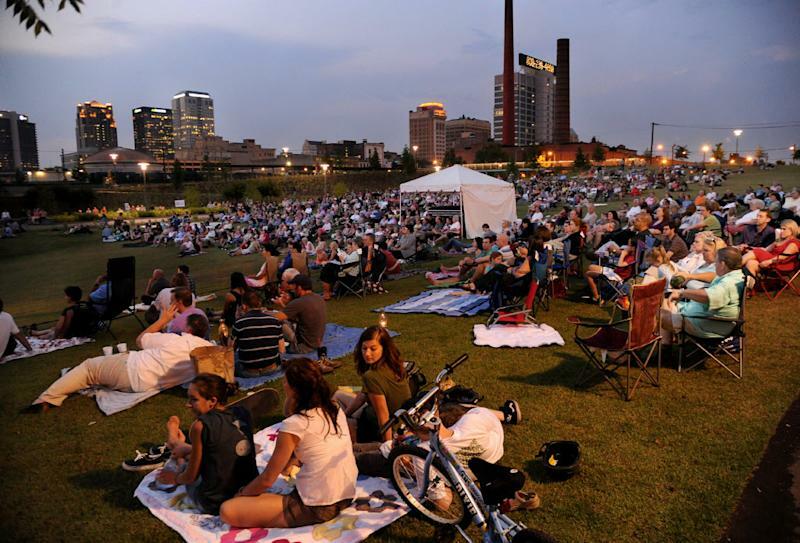 After 25 years in a concrete-and-steel park in the city's southern suburbs, the Birmingham Barons this spring moved back downtown into a new, $65 million stadium that offers views of the city's financial and medical centers. Critics said people wouldn't visit an urban park for fear of crime and blight, but they were wrong. The Barons already have had three sellouts at the 8,500-seat Regions Field — the most since NBA star Michael Jordan played with the Barons in suburban Hoover in 1994 — and the average attendance so far is 5,528 fans a game compared to 3,004 all last year. New housing developments are planned near the stadium, plus shopping. Team spokesman Nick Dobreff said the club is happy to be part of the new Birmingham. "Things are moving in the right direction, and we hope to be a catalyst for more growth," he said.